On Monday, anger at police brutality exploded into violence, as Baltimore crowds battled with police and destroyed property. At least 15 buildings suffered significant damage and approximately 144 cars were burned. According to police, over a dozen police officers were injured during the protests (none in life-threatening ways) and over 200 people have been arrested. 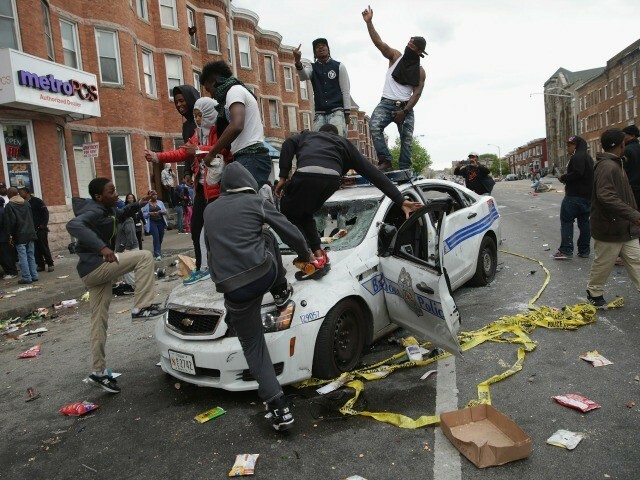 This riot was precipitated by the police killing of Freddy Gray—a 25-year old Baltimore resident who died from having his spine broken by police (who initially pursued him up for making eye contact) and being refused medical attention. Peaceful protests have been ongoing for the last week but yesterday things changed. According to reports, there was rumor of a planned “purge” (referring to the movie franchise where laws are suspended for 12 hours a year and the population riots) circulated by high school students that rapidly escalated and grew into a full scale riot—currently nobody knows exactly where this call to violence originated. Unfortunately, the actions of these rioters are so destructive and attention-grabbing that they will likely overshadow the real issues that must be addressed. Their selfishness now threatens to hijack the national discussion of police brutality, or even give police an excuse to justify their actions (“look at how ‘those people’ act if we aren’t in complete control,” “let us do our jobs or face another riot,” etc.). 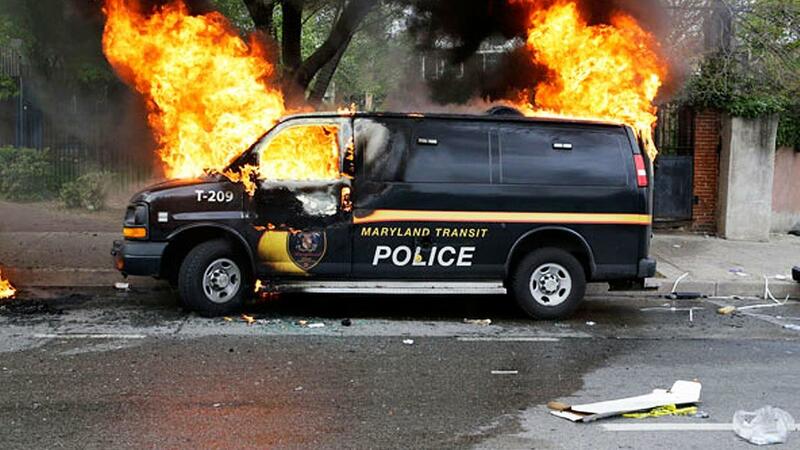 These rioters have absolutely no justification for their actions, and they should be punished for their crimes. 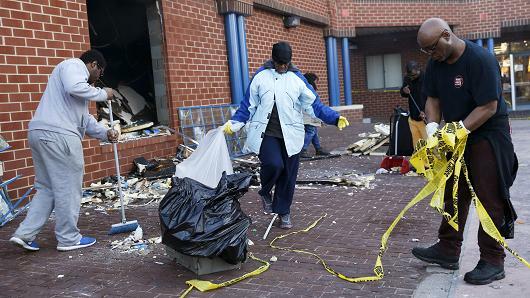 Put simply, some areas of Baltimore resemble a war zone that has just been stabilized. Streets are littered with debris and the burnt husks of cars while businesses are dealing with shattered windows, fire damage, and lost inventory from looting. A new senior’s living facility funded by the East Baltimore Baptist Church was absolutely destroyed in a massive fire. Public schools were shut down today due to safety concerns and may not open again for several days. Even if no future riots happen, it will take some time for the community to recover all that was lost in this episode of violence. The government has reacted to the riots in several ways. On the state level, Baltimore was put under a state of emergency by Maryland Governor Hogan and the National Guard was been mobilized to hold order. Additionally, the city of Baltimore (through the Mayor) has declared a 10PM curfew for at least the next week. The underlying issues that created this situation are complex and multi-faceted, but there are some that are more important than others. First, recent events have exposed the fact that many police departments across the country are unaccountable, callous, and a grave threat to the lives of those who they are hired to serve. We have seen police murder dozens of citizens—mostly African Americans—in numerous states, yet rarely face punishment. Starting with the Ferguson protests, the “Black Lives Matter” movement has illustrated these killings across the nation and exposed this ugly truth to people who don’t usually experience it. The killing of Gray by police after they picked him up for LOOKING at them is just one manifestation of this pattern and, unfortunately, until we fix the issue of police violence, we will always be only several days away from a potential explosion like we had yesterday. We need a federal task force to combat police brutality, coupled with legislation mandating the use of special prosecutors and increasing federal oversight in cases of police violence. Additionally, we need to start holding the police to a higher standard and actually start breaking down the blue wall that has long protected corrupt or sadistic officers. Second, this riot exposed the depth of the anger that is growing among people who have been oppressed by the police. While their actions are wrong, their anger is justified, and it is unlikely that it will be going away any time soon. Community leaders need to recognize this anger and channel it into productive, rather than destructive efforts. If the anger of these rioters could be turned from burning down buildings to improving the community, they could become an asset in the future. Third, the riot demonstrated the problem created at the nexus of poverty, hopelessness, and young men with nothing to do and a lot of anger. Throughout history we have seen these three issues lead to massive violence, regardless of what society is involved. Just to name a few examples: Europe saw the rise of fascism in the early 20th century (and Nazism after their economy crashed in the 30s), the Cambodian Khmer Rouge killed millions, and Central America narco-gangs have terrorized entire nations and made them more dangerous than Iraqi war zones. The areas of Baltimore that experienced the riots are among the poorest, and have massive unemployment rates (>25%). If we want to stabilize such areas and prevent violence, we must invest in them and promote opportunity (and not the bootstraps kind). We need to fund the schools, provide community programs, incentivize economic growth (ex. startup loans), and stop the mass-criminalization of people who are committing non-violent offenses just to feed their families.